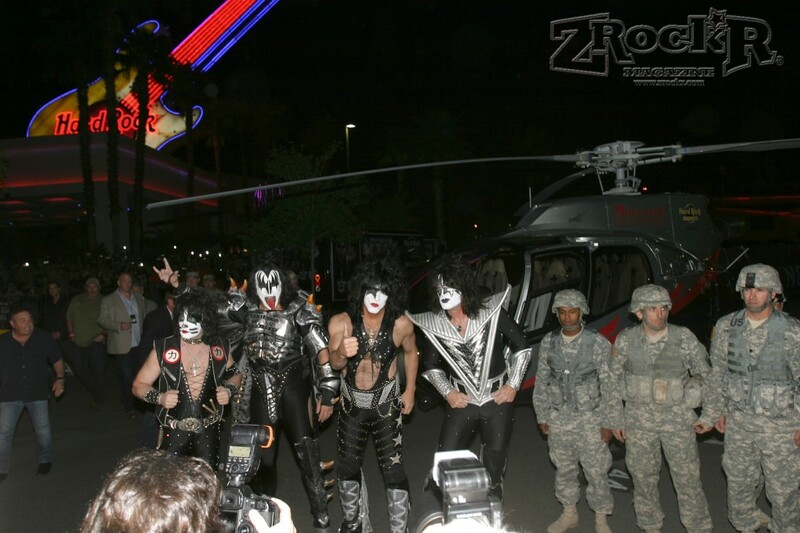 KISS Arrives At The Hard Rock! 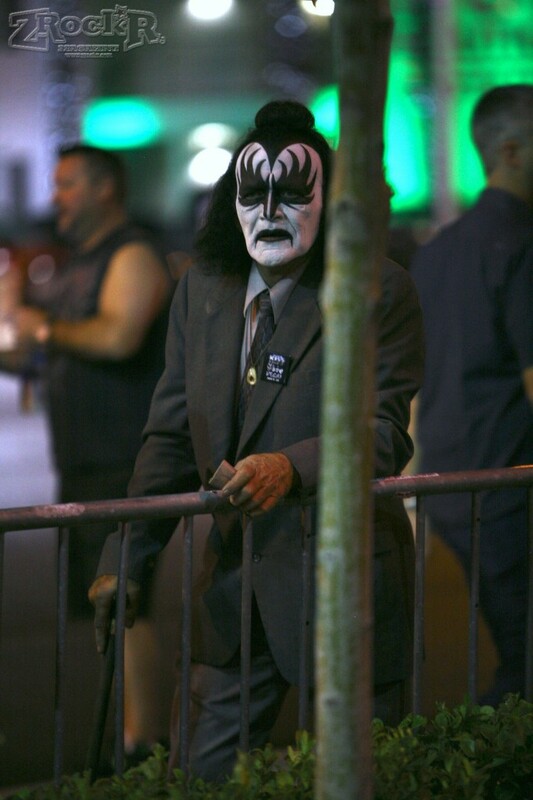 Back on November 5th, KISS arrived at the Hard Rock Hotel and Casino as only they could! While I was standing there waiting with other media folk and fellow KISS Army members, The KISS Army who were arriving and already there ( The KISS Army unit from Holland was there even! )- my mind immediately went to the arrival of KISS that was in the movie KISS Meets The Phantom that I viewed as a young KISS Army member on NBC so many years ago. I chuckled to myself remembering Paul walking down the steps in the sky, ever the Starchild he is, and Gene breathing fire as he flew in- but this wasn't that- and their arrival by Maverick Helicopter would be just as spectacular I was sure. 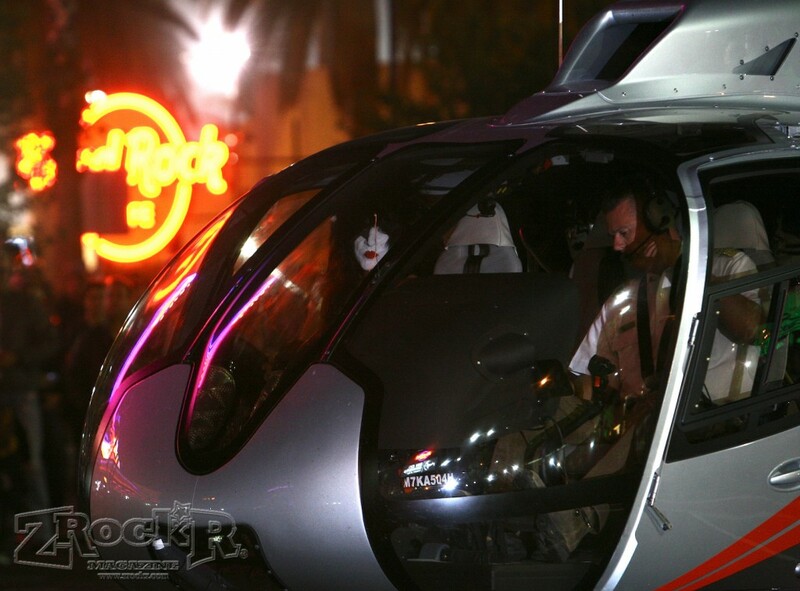 KISS Arrives in Las Vegas! Along with the KISS Army, and media from across the country, were the roadies from Nellis Air Force Base that KISS hired on for the residency and there as was the military family who KISS has taken care of a year's worth of their home mortgage for ( KISS is VERY supportive of our men and women in uniform), an entire family showed up in KISS makeup and an older KISS Army member with a cane came as Gene from the Dressed To Kill era, with more coming to see our heroes in black and silver descend from the sky once more. This time via Maverick Helicopter! As their way of transport landed- you could hear the cheers go up over the din of the helicopter's blades cutting the night. And so it began, a residency like no other- KISS Army from all corners of the globe at the ready- and the rest, as they say, shall be KISStory! We have more coming on this past 3 weeks as the residency winds down, but for now, how about some pics from the night it all began? 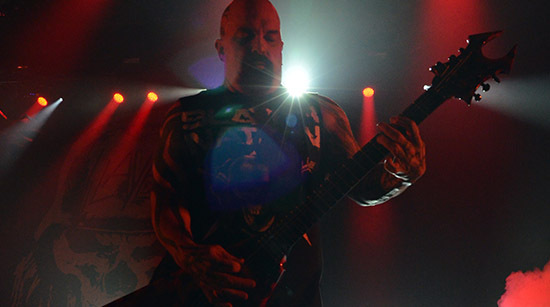 For the month of November, Las Vegas has learned what it means to Rock and Roll All Night, And Party Every Day.... KISS style of course! 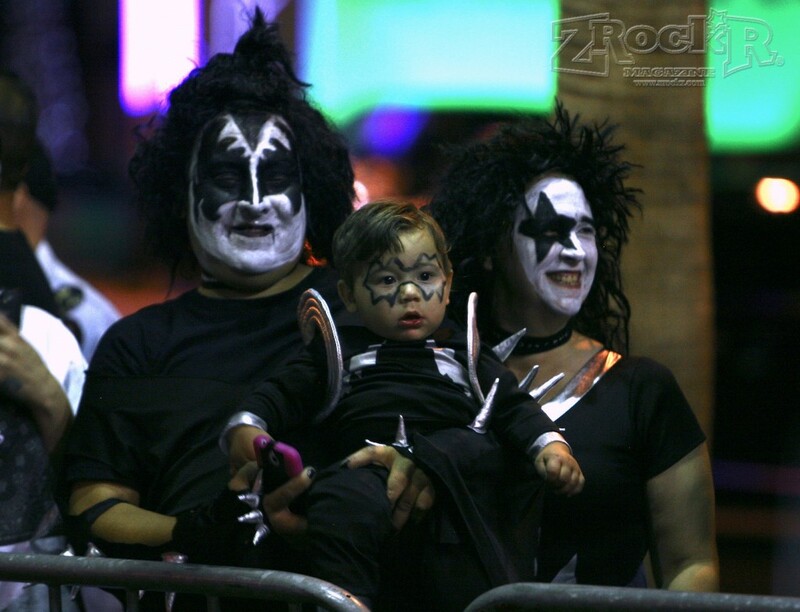 KISS Army Families showed up in proper fashion! Gene? Nope, just another KISS Army Member Dressed To Kill! You Wanted The Best and You Got It Las Vegas! The Hottest Band In The World! KISS!